At Villa at the Lake we realize that dining is not just an important nutritional part of the day, but that it is also a meaningful social event. 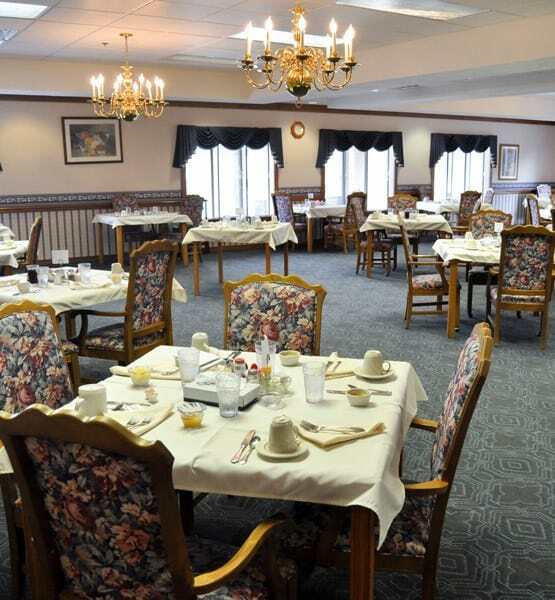 Residents can enjoy dining with their friends in the casually elegant dining hall. Balanced menu choices are always available and offer the resident a taste of home. *Delicious, homemade desserts prepared by our in-house pastry chef are served at lunch and dinner. Friday is Shrimp Cocktail day. A juice bar is available 24 hours a day as well as assorted snacks. 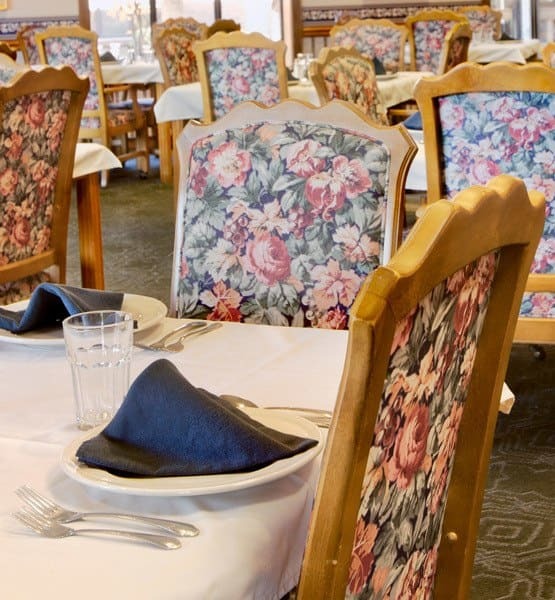 Villa at the Lake offers this delicious menu to all of our various levels of care, including assisted living, memory care, and respite care. Learn more about how respite care in Conneaut can benefit you and your loved one.